This classic favorite tastes even better than you remember. Crisp and crunchy buttery toffee thickly coated in David Bradley milk or dark chocolate and topped with roasted almond pieces make this super sensational flavor combination one of our best sellers. Available in a 6oz Snack Bag or a one pound gift box. My mother used to buy Almond Buttercrunch for me growing up in Syracuse. It was my favorite, but now I have David Bradley's Buttercrunch. 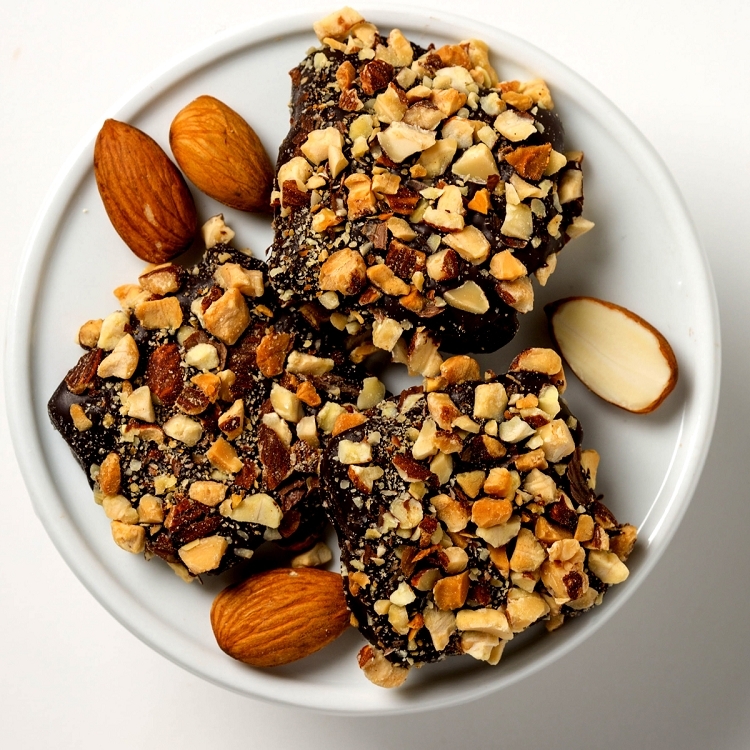 The dark chocolate stands out and does not get lost in the buttercrunch or roasted almonds. This is the way Almond Buttercrunch should taste, well balanced! I love your Milk chocolate Roasted Almond butter crunch. My second favorite is your chocolate covered salted pretzels (milk chocolate). Oh, these are SOOOO good!! 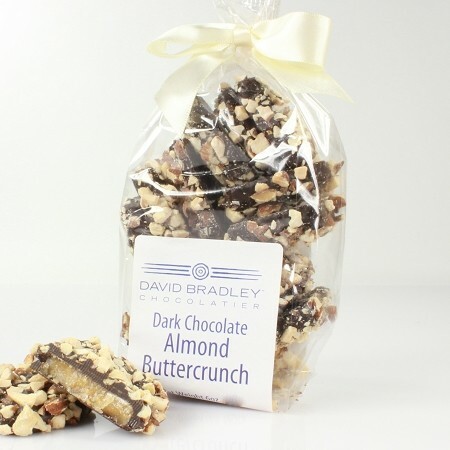 I have many favorites at David Bradley, but right now I have to go with the Roasted Almond Buttercrunch. 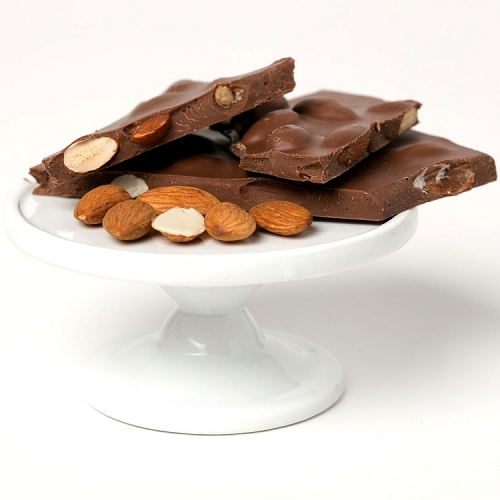 Almonds are my favorite nut and the crunch and chocolate are a great combination. SUPER! 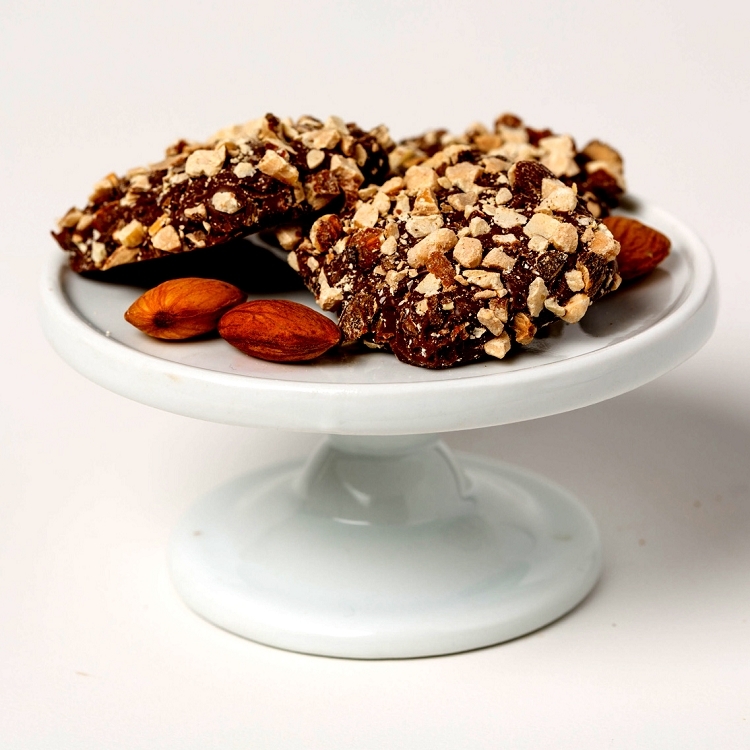 David Bradley's Dark Chocolate Roasted Almond Buttercrunch is one of my family's favorites. It has more chocolate than most buttercrunch candies, and is gentler on the teeth. It's just the right amount crunch, with a perfect balance of sweet and salty. The kids love the milk chocolate variety. Love Love Love these...have to stop dropping in at the factory!!! Delish. Buttery and nutty. My fav. My husband's fav is the dark chocolate covered pretzels. Almond Buttercrunch is my favorite and now David Bradley is my favorite Chocolatier.